Just so fresh and full of life, my crochet braids are absolutely beautiful! I'm just so proud of my work. Lots of frizz, but the style now looks more natural. The nape is beginning to get tangly, but that's where my mousse comes in to soften the hair back up. 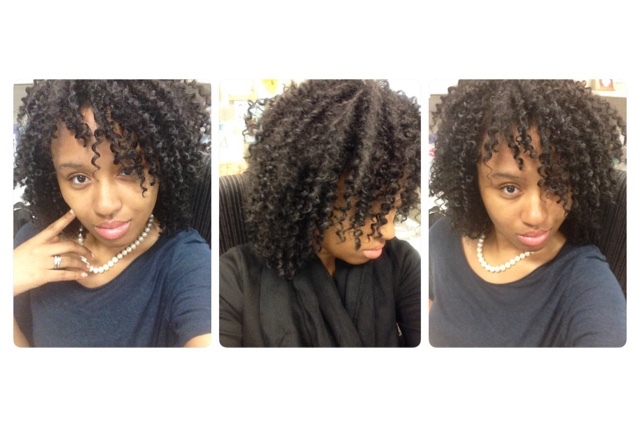 With cleaning weekly and moisturizing every few days, my crochet braids are still beautiful! I'm really loving this style and love how it has really become one of my favorite styles!! 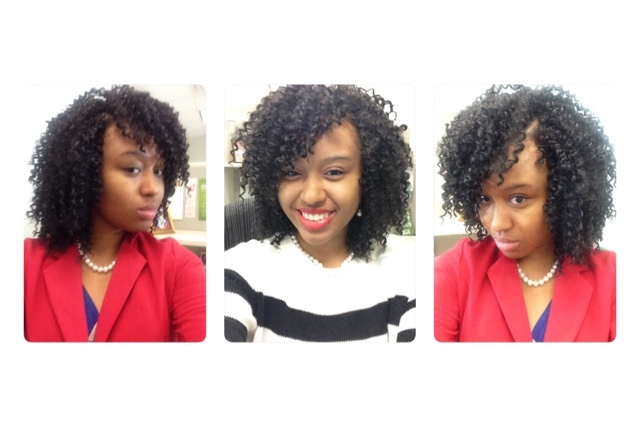 The frizz is awesome and the curl pattern is still vibrant. My side part is frizzing up, so I fixed the front to create a bang-ish look. I have noticed my hair is getting more volume with the frizz. I absolutely love it! Now the hair is starting to really be tangled at the nape and the hair is starting to loose it's curl. My part is very non-existent and I'm having that tingly feeling to wash my hair. However, my 4 week journey is now complete! This is definitely a great protective style for me. What are the pros of FreeTress Bohemian? 1). Looks very natural - Although the hair looks really shiny in the pack, it will look natural once the hair is installed. The hair will frizz over time, which makes the hair look much more natural. As long as the hair is cared for, it will continue to sway and have a bounce to it. I used a mousse every few days to give the hair a natural shine and bounce to it. 2). Easy to install and doesn't take a long time - This took me 2 1/2 hours, from start to finish, only because I was taking my time. The hair comes pre-separated, which makes it easy to crochet. 3). Easy to wrap at night (used satin bonnet) - Just get a bonnet and put it over the hair. No need to 'strategically' wrap your faux hair. It will come out great in the morning. So sleep however you would like to! 4). 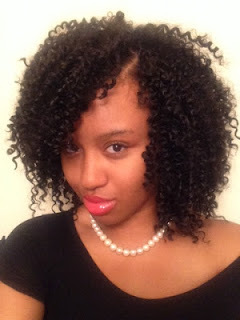 Easy to moisturize own hair with applicator bottle or fingers - Since this is a protective style, I would need to ensure that my natural hair is properly cared for...and she is! Every 2 or 3 days, I would use some water/Aloe Vera Juice and coconut oil to moisturize and seal my hair. It is best to use light products to keep the scalp light and not weighed down with product. 6). No buildup on the hair - I do use a mousse to keep the hair bouncy and full of life, but the product melts right into the hair. 7). Loved the braiding pattern - This allowed the hair to fall naturally and for me to not worry about how to moisturize or oily my hair/scalp. This was so easy to handle. I would like to change how I did the middle braid to allow it to lay flat, but this was a pretty good braiding foundation. What are the cons of FreeTress Bohemian? 1). Separated hair to have more for the pack - I wanted to have more for the pack, but that was just too unnecessary. I only separated the bottom of my style, which came out too frizzy and the curl pattern was really non-existent. Sometimes when I would 'wake, shake, and go,' the bottom would literally be stuck, so I would have to spend a few more minutes adding mousse and 'fixing' the bottom of my style. No need to separate this hair. 2). Too much care for side part - Although the part was very natural, it was too much work to make sure that the knots didn't show. Sometimes I would just want to shake my hair randomly throughout the day, but I would have to quickly find a mirror to make sure that my side part was looking correct. I would then add bobby pins to create my side part, but that was just too much of a hassle. Eventually I created uneven bangs, which gave my style more of a chic-look. 3). The hair tangles, especially the nape - This did not bother me as much, because the hair is so spirally and the frizz covers the tangles. I mean, this is synthetic hair and it is not meant to last forever. If the tangles were to get too out of control, I would just cut them out or reshape my style. Not at all! Check out my tutorial or other tutorials on YouTube. This is even the perfect style for a beginner. "Why did you do that specific braiding pattern? How you get that natural part?" I wanted to have a side part in my style, which created the 'invisible part.' Instead of cornrowing my hair back, I braided my hair on a slanted-curved angle to allow my hair to fall a natural way. I feel cornrowing the hair back gives an unnatural look, then you would be forced to do 'knotless crochet braids.' Nothing wrong with that...I just prefer something simpler for me. 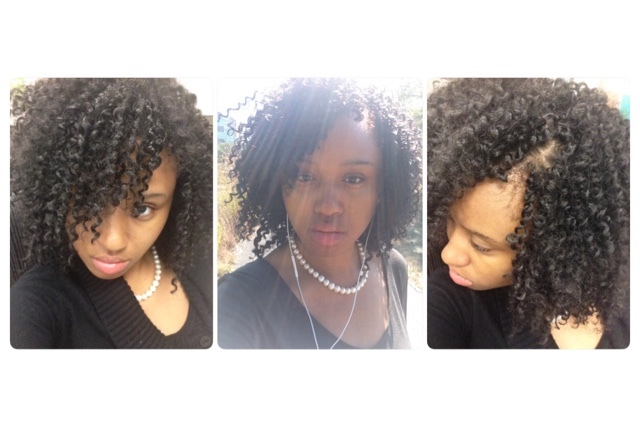 "How do you care for your crochet braids? Check out How To Care For Natural Hair While Wearing Crochet Braids and 5 Tips On How To Care For Your Style for more information. Honestly, I just put a satin bonnet on my hair for night. Sometimes I would massage my scalp with coconut oil, but that's about it. 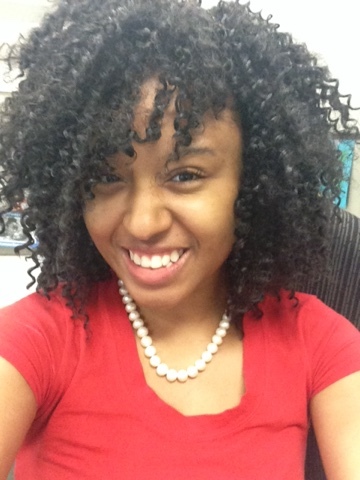 When did you first think, "I miss my curls!" 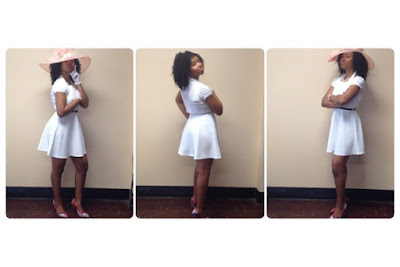 Do your friends and family like your style? Absolutely! They love my style because it portrays my personality. How did you like your style? I absolutely loved it! The pros definitely outweighed the cons and the cons are an easy fix. 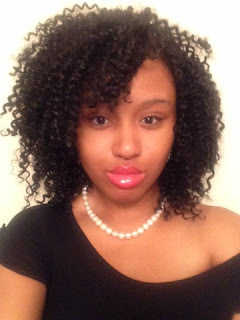 I absolutely love the curl pattern and the length of the style. I really liked how this style resembled a wash n go too. This style definitely fit me very well! Is there anything you would change about your crochet braids? Even though I liked the side part for a natural look, I would have rather had bangs with the beehive pattern. At least my style would have still looked full without the hassle. I felt that I cared for the side part too often, to make sure that no knots were showing. 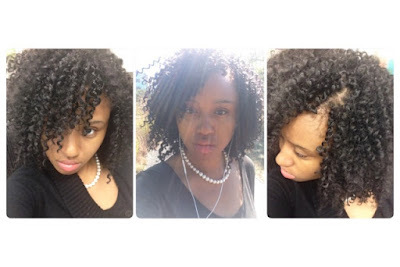 Is there anything you regret about your crochet braids?